Okay, this Soompi article is not about Jang Keun Suk, but it is about Switch. More specfically it's about the actor, Jung Woong In, who plays the big villain, Geum Tae Ung. Jung has an extensive resume (CV), having begun his acting career in 1995 in the movie Rehearsal. He's most noted for playing a villain (or traitor) in various dramas. 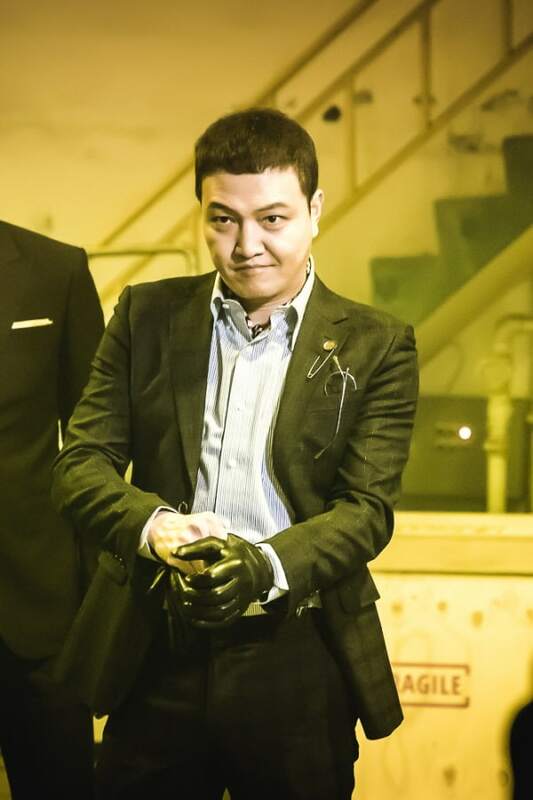 However, in his most recent drama, Prison Playbook, he played a sympathetic - as well as somewhat wacky and humorous - prison guard. We can look forward to his providing an excellent foil to Sa Do Chan and Oh Ha Ra. SBS drama “Switch” is about a con artist Sa Do Chan (played by Jang Geun Suk) who pretends to be a prosecutor Baek Joon Soo and the eccentric, passionate prosecutor Oh Ha Ra (played by Han Ye Ri) who works with Sa Do Chan to avenge her friend. In the drama, Jung Woong In plays Geum Tae Woong, the head of an influential art gallery who appears to be brilliant and sophisticated, but is actually a criminal who deals with dirty money and would not hesitate to murder someone. In newly released photos, the actor is in an underground basement area. His smirk conveys that he’s up to something evil, as he pulls on tight, black leather gloves. 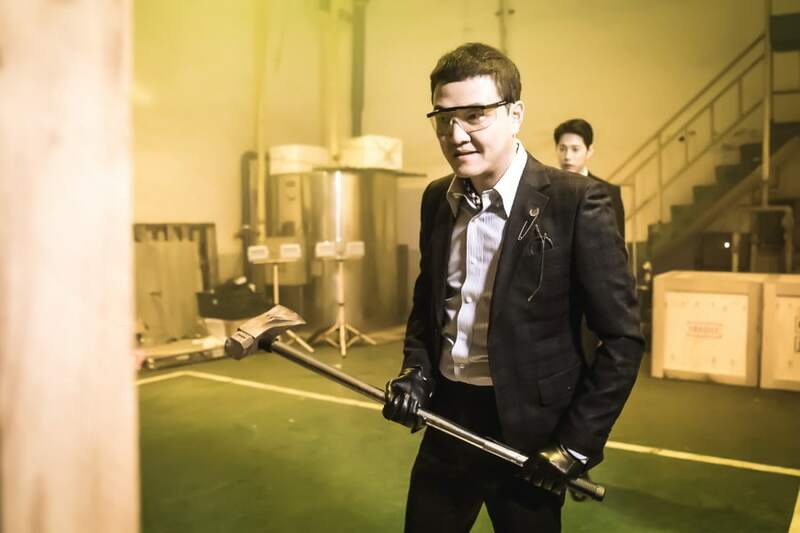 He then wears safety glasses and holds a large steel hammer, and swings at something out of sight from the camera. 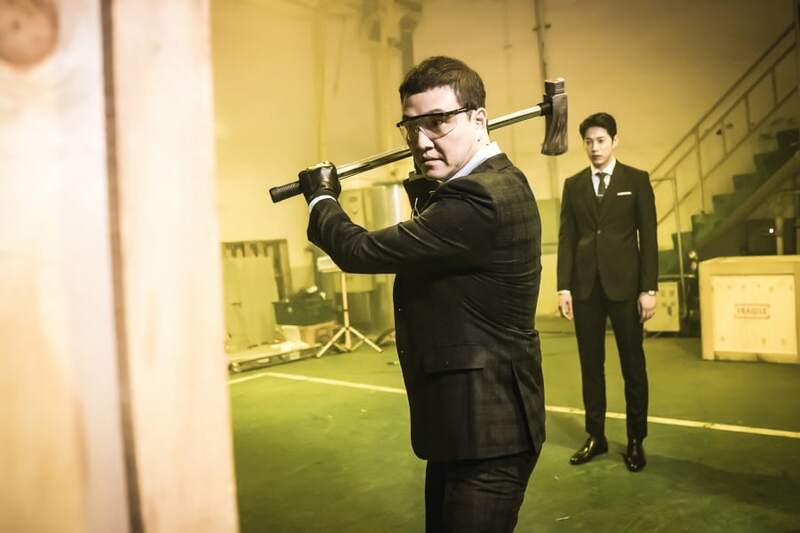 It was reported that before the shoot, Jung Woong In joked around with one of the cast members Song Won Suk, who plays his secretary, and the other staff members. However, when the filming began, he quickly slid into his character, switching effortlessly between the elegant gestures and speech of the art gallery director to the chilling persona of a villain. “Switch” will air its first episode on March 28 at 10 p.m. KST.